When we opened in 1985 as Lone Star Steaks, we promised to serve great food, from a real Texan, done one meal at a time, at Phoenix's Original Texas Steak House. We never imagined that anybody would be so arrogant as to try and lock up the name for the great state of Texas. We were wrong. A huge restaurant conglomerate from Kansas has threatened to take us to court to force us to quit using the words "Lone Star". Well - it seems there just wasn't enough room in town for two LONE STARS. We decided we'd rather keep on putting our money into great food and great service than blow it on a bunch of lawyers. So even though we were right and had a legitimate claim to use our old name, we sure didn't want to be confused with some slick, national chain with almost 100 restaurants. So - the old Lone Star became the TEXAZ GRILL at 16th Street and Bethany Home Road. And as for the new carpetbaggers in town; yeah, well, real Texans know what's right. 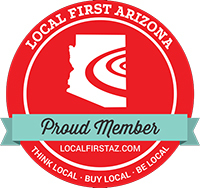 We're the same folks with the same great food, service and atmosphere. We take pride in our hometown place and like seeing all of you come back again and again. Thank you for your support and continued loyalty. It was more than 30 years ago that Jim Mitchell and I opened the doors here at 16th Street and Bethany Home Road. Jim has now retired to a well-deserved life of golf and travel, his two biggest loves right behind his family and the TEXAZ Grill. He still hangs around (whether we want him to or not), giving advice (whether we want him to or not). My business and personal relationship with Jim has been one of the great joys of my life. Still, next time he orders the Rib Eye steak, he’d better have the cash! Jim, may your flights be on time and your golf balls in the middle of the fairway. 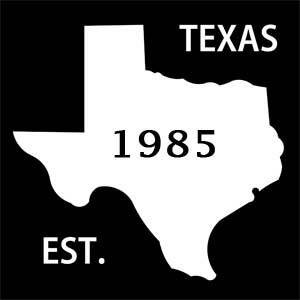 As we enter our 33rd year in operation, all of us at TEXAZ Grill want to thank you for your continued patronage and loyalty. We are still committed to serving a quality product, at reasonable prices, in a fun and comfortable atmosphere with Texas friendly service. Since our opening in 1985, we've guaranteed our product to your satisfaction. If for some reason the food or service does not meet your expectations, please tell us about it immediately and we'll make it right. If you just tell your friends and never come back, then nobody is happy, and we’d hate that.